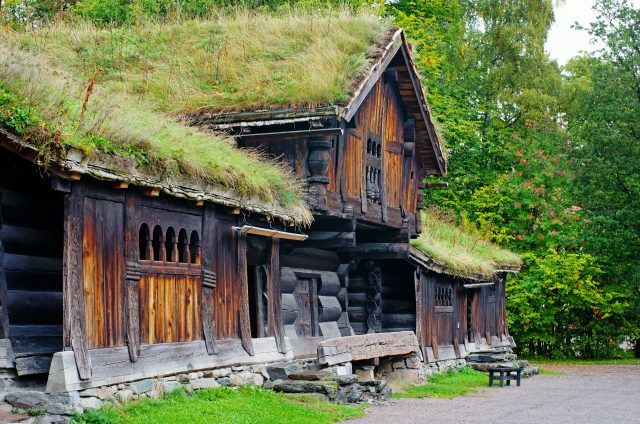 Traditional Norwegian House with grass roof. 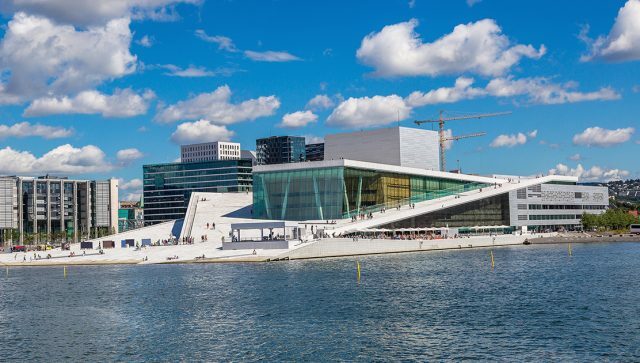 A perfect day tour for discovering the Norwegian capitals best sights both on foot and by bus. 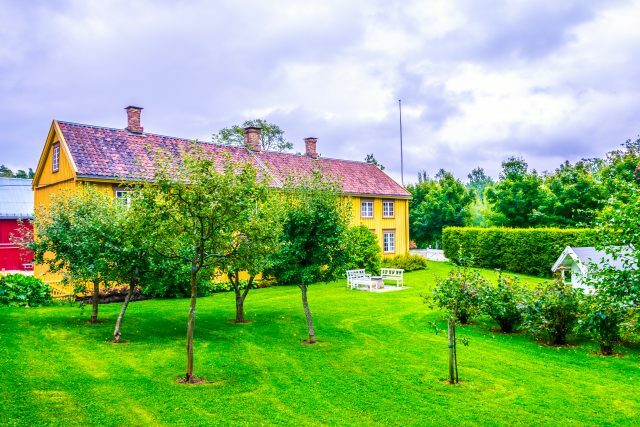 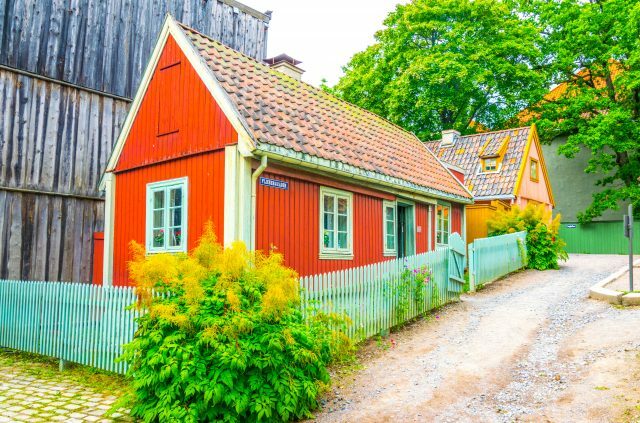 We will start our day with an enjoyable panoramic drive to the charming Bygdøy peninsula. 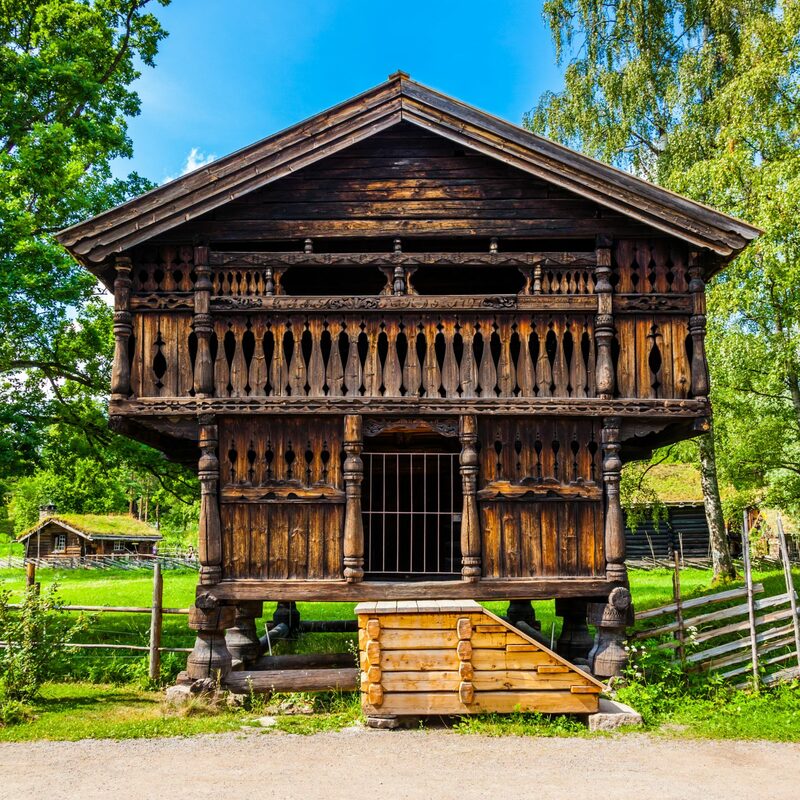 One of Norway’s oldest cultural landscapes is rich in history and stunning nature. 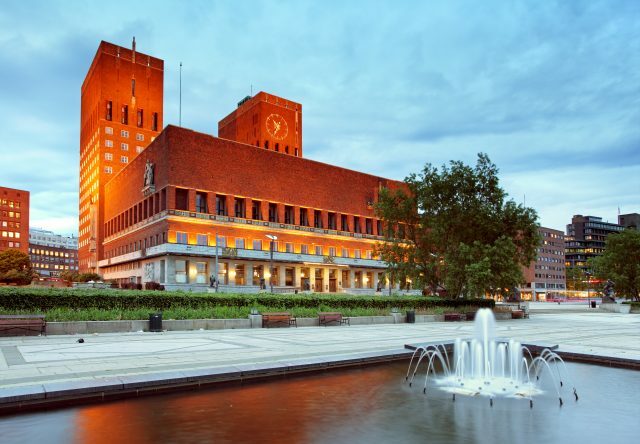 The area also boasts beautiful parks and forests and some of Oslo’s most delightful natural seaside. 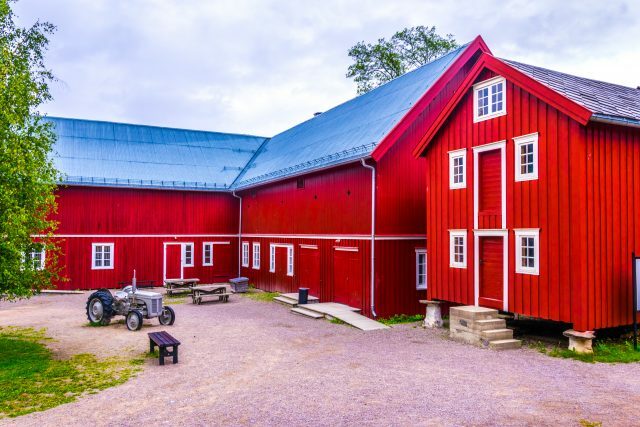 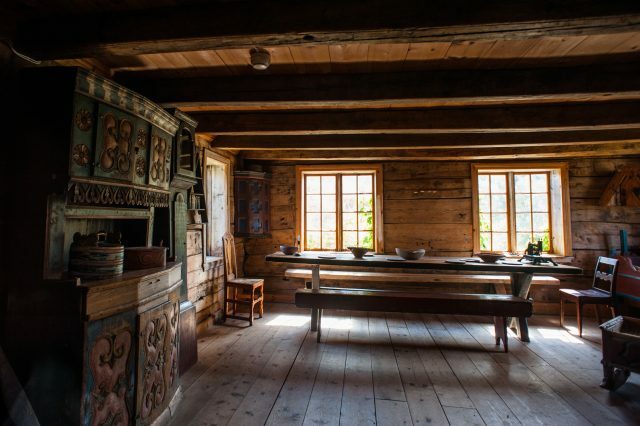 Our tour at the Museum of Cultural History presents an exquisite collection of artifacts in a village of more than 150 real-life buildings relocated to tell the story of Norwegian inhabitants over the last 500 years. 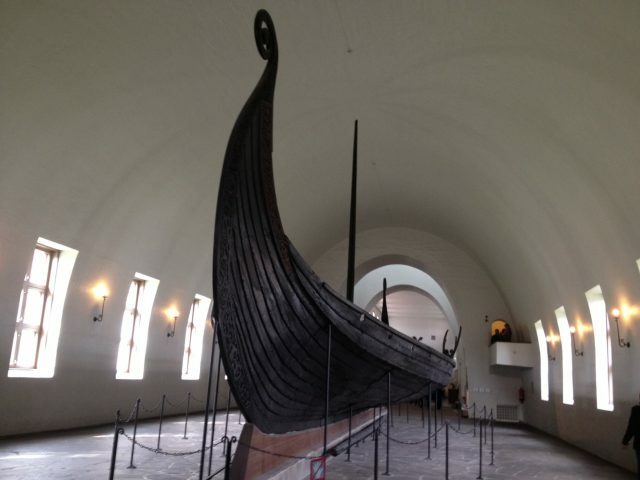 Thereafter, our next visit will introduce us to the fascinating stories and legends of the fearless Vikings. 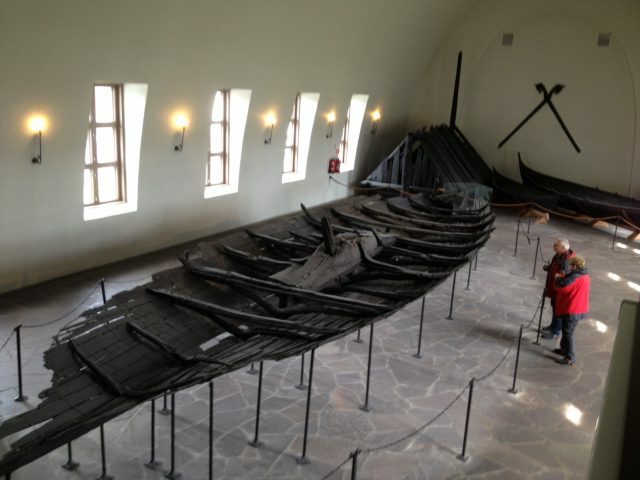 Mythical ships, dating back an incredible one-thousand years are there to take you back in time to the treacherous seas of Viking Kings . 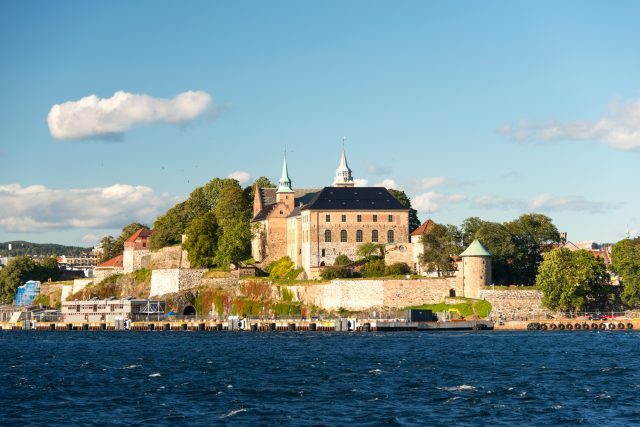 Once we have taken in the sights at Bygdøy, we will return towards the city center on a scenic drive complete with harbor front views by the City Hall. 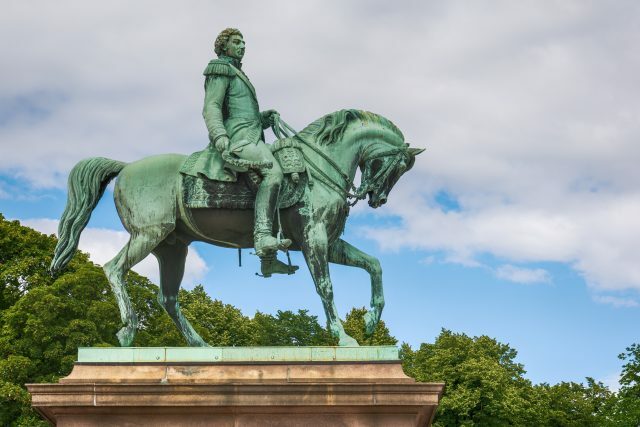 We will enjoy a lovely stroll down the main pedestrian street at Karl Johans Gate and take in the idyllic atmosphere of Oslo’s historic town center. 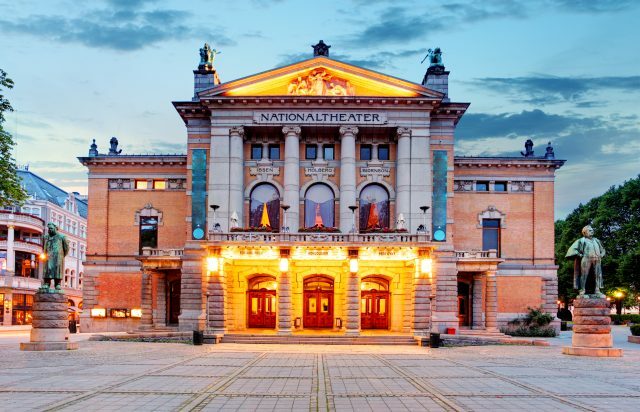 The Parliament building and National Theater decorate beautifully the way towards the Royal Palace situated on a rise, the Bellevue. 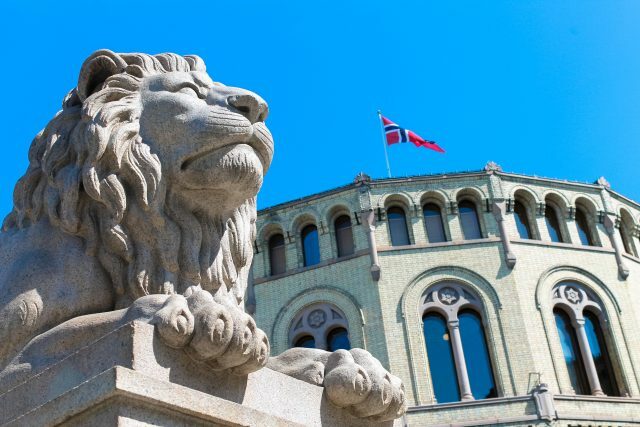 The Royal Palace is one of the country’s most important buildings, and a concrete symbol of the course of Norwegian history used as a residence since King Oscar I. 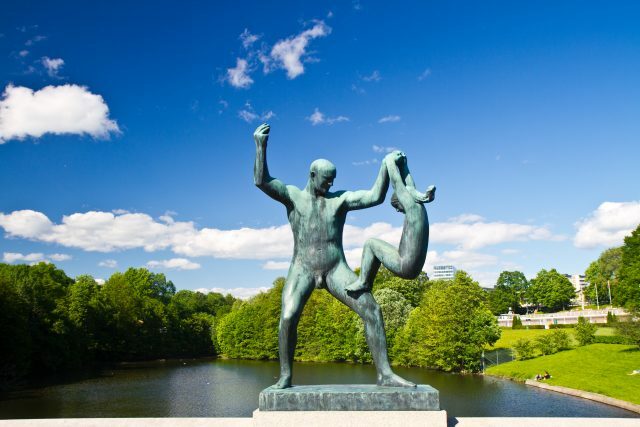 We will also reserve some free time for a coffee break with a spot of shopping before continuing with our afternoon walk in Vigeland Sculpture Park. 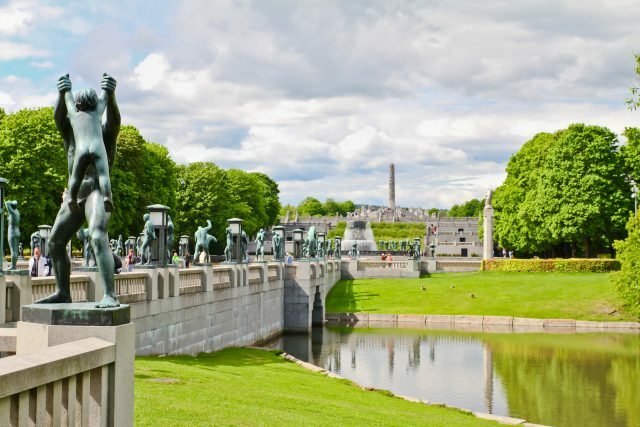 The impressive statue ensemble at Vigeland Sculpture Park is the lifework of one man cast into iron and carved into stone. 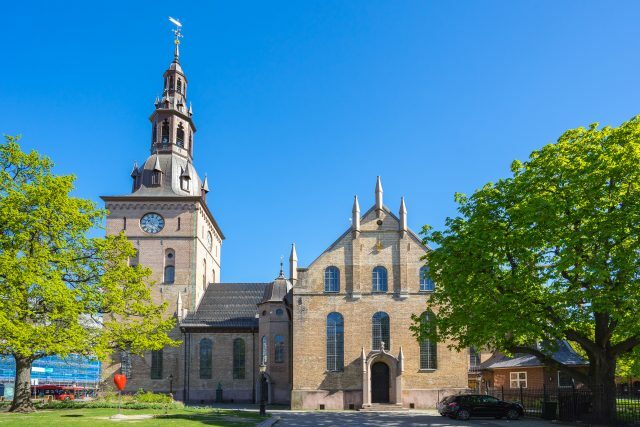 The symbolic circle of life is the creative idea behind most of the works in the park with a spectacular Wheel of Life crowning the 850 m long pathway. 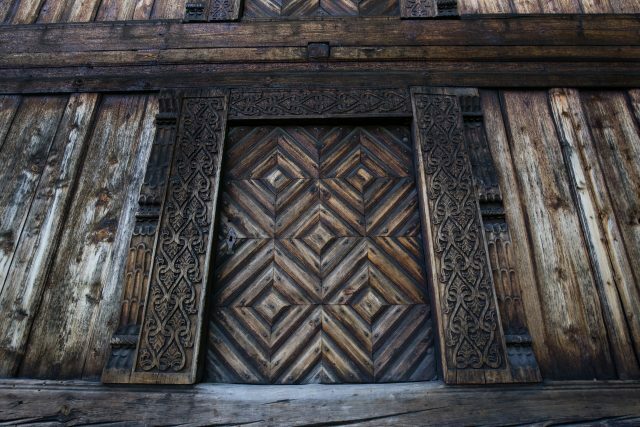 In a sense, this stone garland perfectly sums up the dramatic theme of the entire park: a man’s journey through life with happiness, grief, fantasy, hope and wishes of eternity accompanying along the way. 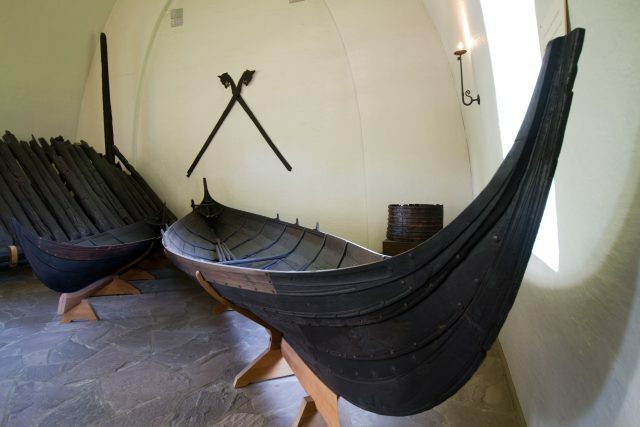 After a day filled with joy of new discoveries from ancient history to simple pleasures of expressive art, we are headed back to the harbor, where you can board your ship in comfort.